Toquaiah J. 2-time walker, for her friend. 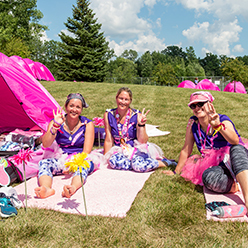 We&apos;re a community of dedicated women and men who, each year, pour our hearts and souls into taking on an incredible challenge: a three-day, 60-mile journey. We do it for ourselves, our sisters, mothers, fathers, daughters and friends. Because we can&apos;t sit idly by watching while breast cancer still exists in the world. 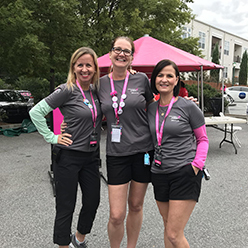 Over the past 16 years, we&apos;ve raised more than $848 million to save lives, support community programs, and make huge strides in breast cancer research. It&apos;s a 60-mile walk over the course of three days. We stay together as a community on Friday and Saturday nights, either glamping outside or in a hotel. Both options include meals, a 3-Day lounge, massage chairs and lots more! 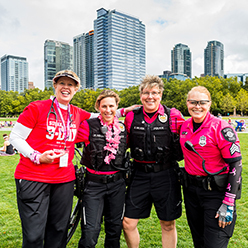 The route is fully supported by an experienced crew who will keep you safe (and cheer you on like the hero you are!). Just bring your water bottle and walking shoes and you&apos;re all set! 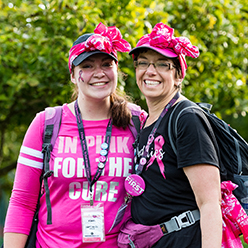 You&apos;ll raise $2,300 to help end breast cancer. It may be hard, but it&apos;s not as hard as breast cancer. It&apos;s time to step up and commit to this challenge—for this mission, for those you love and for yourself. You can do it and we are here to help! 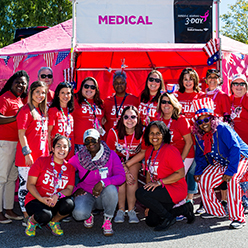 The Susan G. Komen 3-Day® is a community of people who commit to making a difference. The minute you sign up, you&apos;re part of that family. 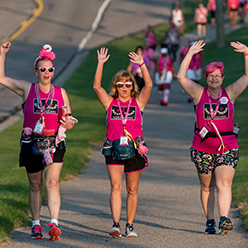 Your personal Komen 3-Day coach will mentor you throughout your journey. 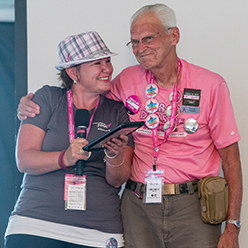 Our online resources, apps, workshops, training walks and outfitters help you all along the way and connect you with other 3-Day® walkers in your community. 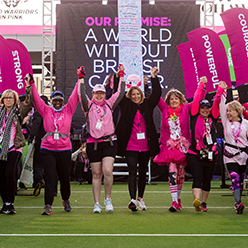 Team up with your friends and family to support each other and make an even bigger impact. 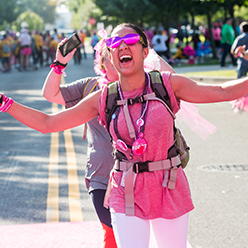 Tell stories, sing and dance, and have someone by your side when you need the encouragement to go those last few miles. Band together to increase your fundraising power. Walking with a team makes the miles go by faster. 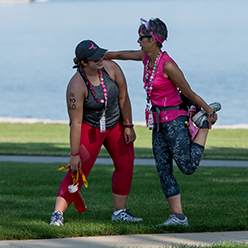 You&apos;re more likely to reach your goals and make it to the event when you have the support of a team. 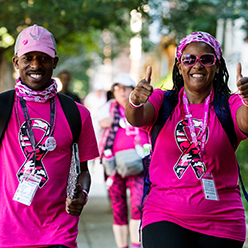 There&apos;s a 60-mile walk ahead of you, but remember: It&apos;s not as hard as breast cancer. 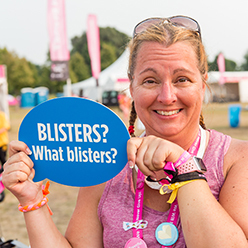 Our training walks and tips will get you ready to take on the challenge, regardless of your current fitness level. 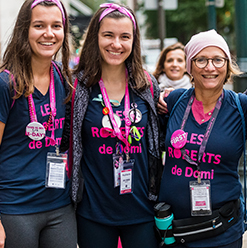 Volunteers lead training walks all over the country. Our suggested training schedule will keep you on track. On the event, we&apos;ll pick you up if you need a ride. 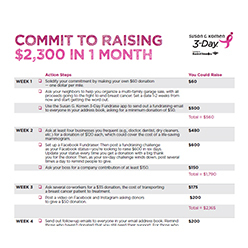 When you join the 3-Day, you commit to raising $2,300. 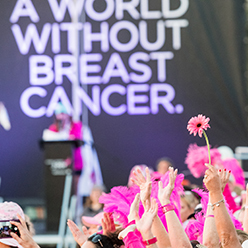 It sounds like a lot, and it is, because it takes big, bold efforts to end breast cancer. 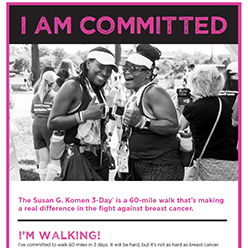 You&apos;ll get your own personalized fundraising page and can send emails directly from your 3-Day participant center. Link a Facebook Fundraiser to your 3-Day account and use the power of social media. Fundraise from your phone with our app. Numerous other online tools, printables and suggested message templates, and the advice of the 3-Day coaches, will help you reach your goals. 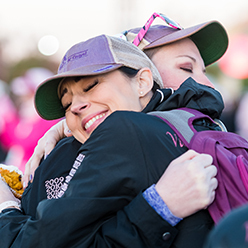 It begins with an emotional Opening Ceremony, where we honor the loved ones who have inspired us to walk. 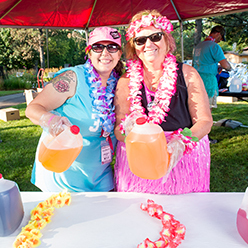 Surrounded by a close-knit community, you&apos;ll fill your heart with the 3-Day spirit. 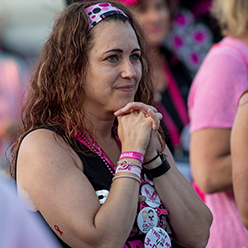 Honor those living with and lost to breast cancer. 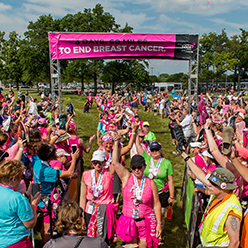 The 3-Day transforms into a 60-mile moving monument dedicated to the power of ending breast cancer forever. With every step, we pay tribute. We wear the memories of our loved ones on our shirts, in our hands, in our hearts. Every mile is fully supported with pit stops, safety crew, and cheering spectators. Pit stops with snacks, drinks and toilets. Medical support along the route and in camp. Volunteer crew members keeping you safe. Community cheering stations to keep you motivated. For two nights, you&apos;ll stay with the 3-Day community. 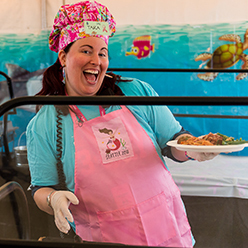 You&apos;ll refuel and recharge with delicious meals, hot showers and massage chairs. For the Dallas/Fort Worth, San Diego and Seattle 3-Days, you will stay outdoors under the stars, just like sleepaway camp for grown-ups. We&apos;ll provide the tents—you make them home. The Michigan, New England, Philadelphia and Twin Cities 3-Days will take place in one main hotel, with participants sleeping in that hotel as well as other nearby hotels as needed. That way you get all the comforts of a hotel room, without missing out on the camaraderie of the 3-Day community. This will be at no additional cost to you. You may have begun your journey walking for a loved one, but after two days and nights of fellowship and friendship, you&apos;re also walking for yourself. You&apos;re accomplishing something incredible—celebrate it! We all walk in together, because it&apos;s not a race. This victory belongs to all of us. We&apos;ll finish 60 miles on tired legs but we won&apos;t be defeated. Our final destination—a hero&apos;s welcome from friends and family at a Closing Ceremony celebrating your amazing accomplishment. Understand, prevent and treat metastatic breast cancer. Discover new treatment and technologies to improve outcomes for all patients. Increase access to and participation in clinical trials. Address gaps in access to and utilization of affordable, high-quality health care. Provide access to screening, diagnosis and treatment. Help with transportation, childcare and more so patients can focus on treatment. Provide people with opportunities to share their passion for the movement and compassion for each other. 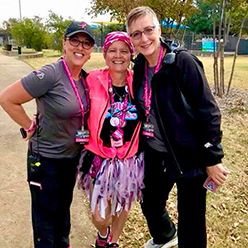 Support survivors, caregivers and those living with metastatic breast cancer. Provide information and guidance to help navigate the care journey. Advocate for more research funding and protections for patients. Educate health care providers, policymakers, opinion leaders and the public on the burden of breast cancer. 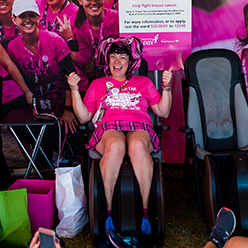 Empower patients and the public to take charge of their breast health.